"It's been quite a while since we've heard anything regarding the myTouch3G and future Android updates. A lot of you owners have moved on to bigger and better things but for those of you still holding on, or holding out for something better than I hope I have your attention. 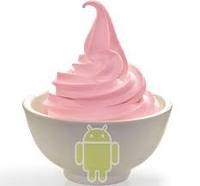 Beginning tomorrow, that's right, TOMORROW T-Mobile and HTC will begin an OTA rollout of Android 2.2"
The 2.2 Froyo update will be released as a staggered roll out, starting October 13th! This is fantastic news for us "older" Android users out there! But, unfortunately, this update will only be available for the original myTouch 3G and not for the myTouch 3G 3.5mm jack, myTouch Fender Limited Edition or myTouch 3G Slide. At least it gives me hope that T-Mobile hasn't forgotten about me and my update!